Robert M. Price | Amazing Lookalike! On the left is Dr. Robert M. Price, Professor of biblical criticism for the Council for Secular Humanism’s Center for Inquiry Institute. 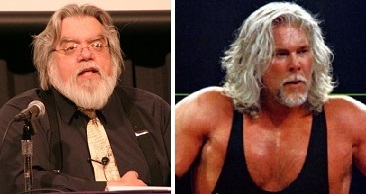 On the right is Kevin Nash, American professional wrestler.